Have you just recently passed your driving test? We bet that you now cannot wait to purchase your first car! Before you can enjoy lots of the added special features such as fancy stereo systems and personalised car registrations, you will need to make sure that you are first looking at the practicalities. Buying a car for the first time is not only exciting but also quite scary if you are unsure of what you are buying. Before buying your first car, it is important that you do your research so that you don’t end up wasting your money on a car that doesn’t fit your needs or is too expensive for you to maintain if you are on a tighter budget. Here, we are taking you through our top tips for what you should be looking for when purchasing your first car. When you are making any kind of big purchase, the first thing that you should always take into consideration is your budget. To do this, you should calculate realistically how much you can afford to spend per month on your new car. Of course, the ideal thing to do here is to pay in cash, however, for most people this is not going to be an option. In this case, you can then look at financing options instead. We would advise you to create a budget that takes into account your cost of living including food, shelter and the odd night out too. Once you have calculated your monthly outgoings then you can see how much you can spend each month for a car on finance. Remember, however, you will also need to take into account other factors such as car insurance, petrol and road tax. You will also need to factor in other car expenses such as your yearly MOT. Check out this great guide on how to setup a budget here. This is the slightly more boring part that you may not particularly want to hear! While buying a flashy convertible or the latest stylish Fiat can be an exciting prospect, do either of these cars really fit in with your lifestyle and what you need them for? While we would absolutely love to drive a convertible with its own personal car registration, it just is not practical for day to day to life. When buying your first car, it is important to establish what your transport needs are exactly. Will you be driving to work every day in your new car? Is it just for weekend and evening use? Will you need a certain number of seats in it? These are all questions that you need to take into consideration when purchasing your first car. Furthermore, the type of car that you choose can affect how much you pay in fuel and insurance, so you need to work this into your budget also before buying a new car. Carrying on from the last paragraph, while you should make a list of what exactly you want in a car, you may not be able to find a car that is in your price range and offers everything that you want. You may need to take a look at your list of what you want in your first car and separate this into what you really need versus what you really want. A few of these wants may need to be put to the side until you are onto your second or third car in a couple of years time. Find a car that satisfies you but does not break the bank at the same time. For example, if you are looking for a car with a private plate, this is something that you can always add yourself at a later date and is not necessarily a need. 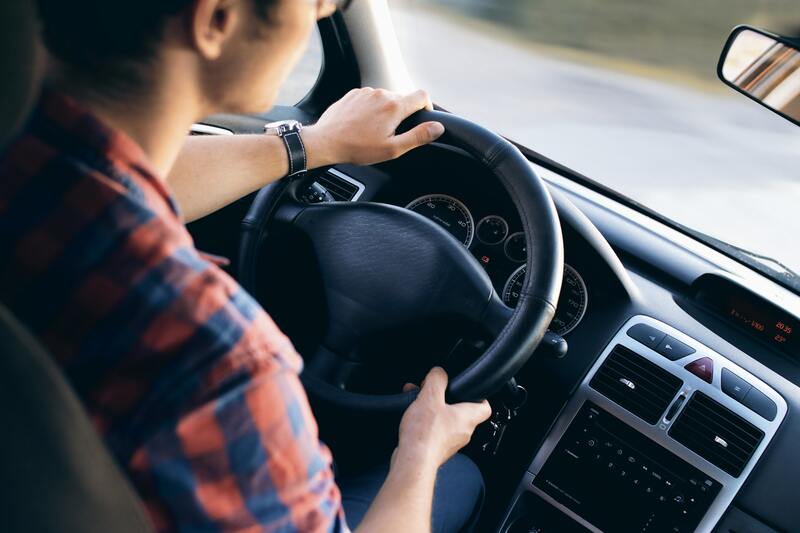 Before you buy your first car, it is important that you do your research to find out what brands and models are going to work well for you and which ones are worth steering well clear of. You can have a look online to check out reviews and opinions on a car that you have had your eye on or if you spot someone in the street with your favourite type of car, why not stop and ask them what they think of it. Even after you have conducted lots of research into the brand of car that you want, it is still always really important that you take it for a test drive before you decide to make a purchase. Who knows, you may get behind the wheel and not like the way the car drives. There are many factors that can come into play here which includes the wheel adjustment, steering wheel feel and the seat height. We would recommend that you spend at least half an hour taking the car out for a test drive as this will allow you to get a good feel for the car and see whether or not it is everything that you imagined. If you are buying your very first car, chances are you buying second hand. When buying second hand, many people will want to make a few customisations to the car to make it feel like their own. This is definitely something that we would recommend, as you may even be able to grab yourself a bargain doing this. For example, if a car with a great audio system is on your list of wants in your first car, this may be something that it is too far out of your price range, however, with car customisations you can purchase a cheaper second hand car and put in your own quality sound system for a fraction of the price! Other fun ways in which you can personalise an older, second-hand car is to put your own personalised registrations on them. Personalised number plates are a great way to add a bit of character to your car and personalised plates will certainly be an eye-catching feature. If you are looking to personalise your very first car, make sure to head on over to britishcarregistrations.co.uk where you can buy private registrations today. These private registration plates also make a fantastic gift if you are looking for an awesome present to give to someone who has just recently purchased their first car. Furthermore, when the time comes to sell your car, don’t worry about these extra special features decreasing its value as most cars will actually enjoy an increased value when they have added features such as a private car registrations. You can even find out how much your private number plate is worth online and sites like British Car Registrations (referenced above) actually have a guide entitled “The Guide to the Value of Car Registrations in the UK” which will give you all the information you need. Finally, carrying on from the last point about the effect of special extras such as personal plates adding value when you go to sell your car, when you are buying your first car, it is also important that you purchase one that won’t simply go out of fashion and will retain most of its value for when the time comes for you to sell. There are certain car brands that do not lose their car value in the same way as others and this can be worth investing in for the long run.